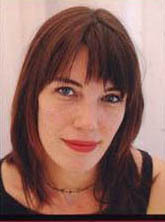 When Kate Holden had been on heroin for about a year she agreed to go for rehab. She grew ‘clear and vibrant’, yet when her month was up, instead of going home to her supportive parents, she went straight to Jake, her dealer. Like a cord, she says, the addiction pulled her right back. And right into prostitution. 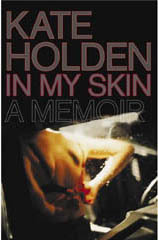 Holden grew up in a comfortable suburb of Melbourne, loved and cherished by her parents and younger sister, in a house filled with books. A university graduate, she didn’t lose her virginity until she was nineteen, didn’t smoke marijuana until twenty-one, but when her friends experimented with heroin she was drawn in, not wanting to be left out. Her extraordinary account of floundering in that deep water grips from the beginning. The reader – shocked, saddened, revolted, surprised, sometimes amused, always fascinated – reads on. Perhaps it was that pride and a certain ‘kind of grace’ that saved her. She lived to tell her tale when so many don’t, withdrawing from heroin as one might withdraw from a lover, believing that there will be no going back to the relationship but knowing that the affection will never be completely gone.